Night train between Cologne (Koln) and Berlin - Boarding Today! After spending a day in Cologne, I was excited to get on the night train towards Berlin. The Deutsche Bahn operates a daily train between many of the major cities in Germany. My trip from Cologne to Berlin was the ideal moment to use this service a first time. When you carry as much stuff as I do, you prefer not to run to find your reserved space in a train only when it arrives in the station. I loved the way Deutsche Bahn (The German railway operator) showed where each carriage arrives on the platform. Nice drawings showing what zone your car wil be in are located in the platform. Carrying as much stuff as I do on this trip it’s a relief to be able to go to the place where you’ll board. The compartment on the City Night Line. So I boarded the train. The setting is a bit confusing at first with the numbers of the seats and the beds. Eventually I found my space. My compartment had three beds and (yes!) a small bathroom with a shower in it. Better equiped than some of the hostels I stayed in before. And I keep on being amazed on how they cram a shower, a sink, a toilet and room for all toiletries in a space that cannot hold my american fridge. While I was alone there at first in the coupe (is that what you call a room on a train? ), a businessman joined me in the first station. He reserved the top bunk. I was on the lower one. The businessman showed how not to be a social traveler on these trains: Instead of using his personal light when he needed to do something, he switched on the light for the whole section. And even after a first time when he got called in the middle of the night, he didn’t had the reflex to silence his phone, making sure I’d be awake later once more. Needless to stay I didn’t sleep much that night. 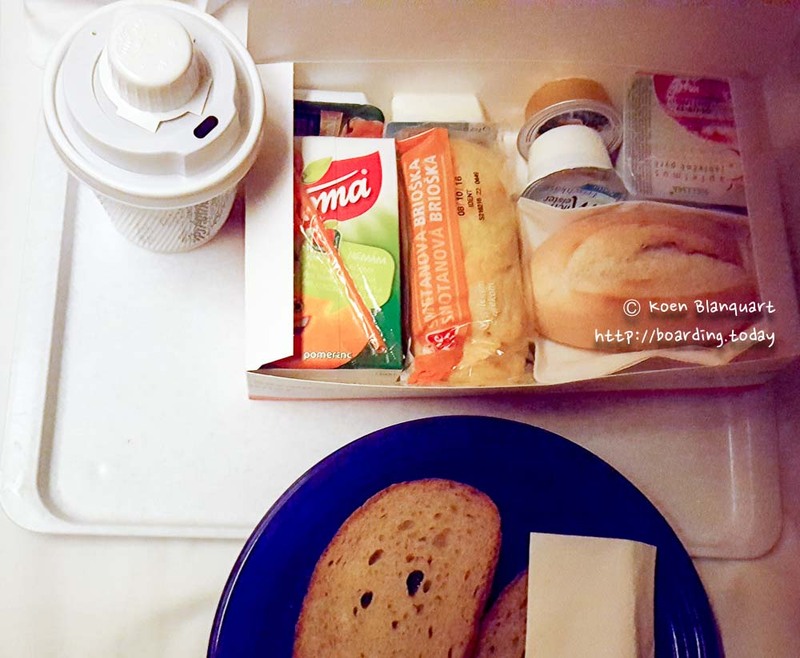 The breakfast offered by the German Railways left me a bit hungry. But when I left the station, I was greeted by the nicest morning light so far on this trip. The water in the Spree, the canal in Berlin, was quiet still, and I decided to walk to the AirBNB where I was staying during my Berlin stay. Thanks for the nice views so I had many moments to put down my gear to take a break and a picture. So the night train: yes I’ll do it again, but I’ll bring my own friends to fill the other bunks! Or I might go to a setting where there are 6 rather than 3 beds, so in case there’s too much noise, there’s a better chance on a social event going on.